The freest free range chickens of all. 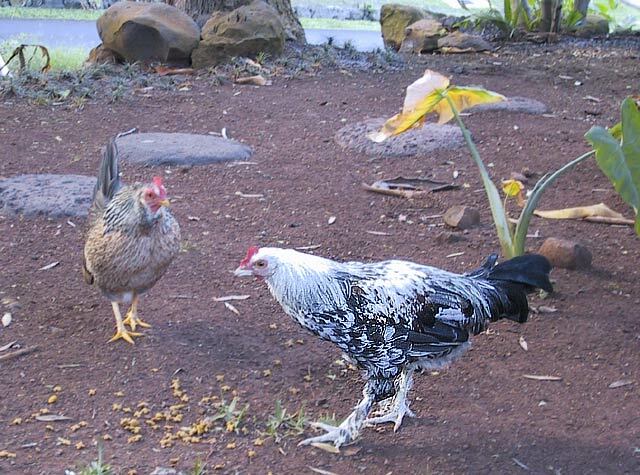 After the big hurricane a few years ago on the island of Kauai, a lot of chickens got loose. They mixed with feral Filipino fighting fowl and now are a thriving and burgeoning wild population. 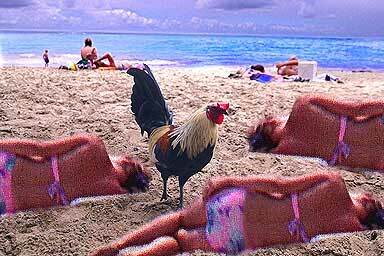 In the absence of any real predators, chickens rule the island, growing fat and sassy on fallen fruit and earwigs. No-one there eats them, but these people have the world's highest per capita spam intake. 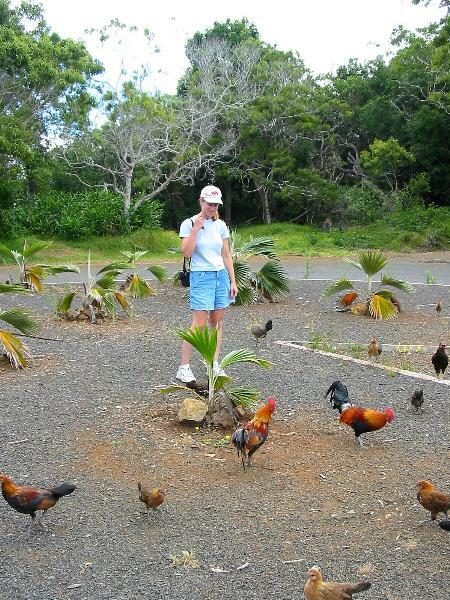 But imagine the appeal to citified mainland foodies: Wild, guava-fed chickens of Kauaii! I am actually getting pretty hungry right now thinking about them. These flavorful birds would sell at premium prices and require slow cooking - preferably with fruit, cane sugar and tropical spices. To prevent chaos, the island could license chicken collectors who would hunt them down for the market. "Well, why didn't you round up the chickens when they got loose?" "Those battery hens, they just kept going and going." You've gone bit bonkers with these chicken links, [bungston]. Maybe you need to just have some Spam like everyone else.